Detail of window showing opening wrought iron casements to the far right and left, with fixed centre panels putted in and secured with flat head nails. 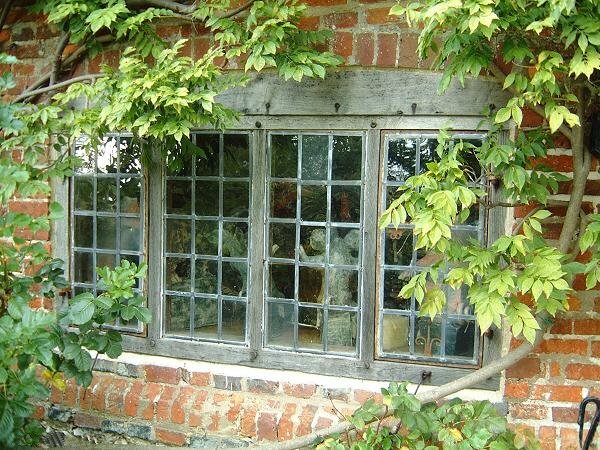 All the glass used was either genuine old or restoration glass and are cemented into wide flat lead cames. All making good has been carried out with traditional lime mortar.